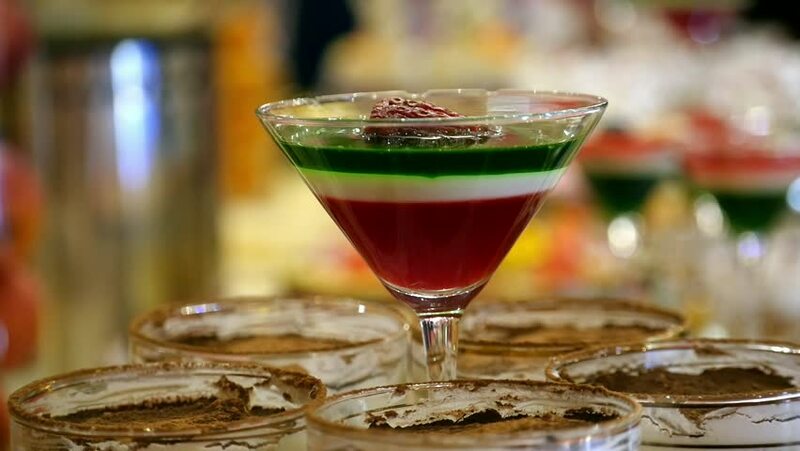 Beautiful delicious multicolored sweet dish fruit dessert jelly and souffle in glass on the table, Concept natural product, fresh products, side view, ecological pure. 4k00:06Mint branch and green cocktail. Hand puts mint into beverage. Fresh mint and citrus fruit. Special recipe of hugo cocktail. 4k00:07Glass of orange cocktail rotates. Beverage with grapefruit and mint. Citrus fruit and cinnamon powder. Fresh cobas cocktail. 4k00:16Glass of red beverage rotates. Cocktail decorated with mint. Sweet drink served at restaurant. Clover club with mint branch. 4k00:13Glass of red cocktail rotating. Beverage decorated by mint branch. Beverage served at the party. Clover club with fruit syrup.